All our registered users receive Premium Support. We are pleased to assist you in getting the most out of your AIT software products. We always welcome questions, comments and suggestions from our current and prospective customers. Do not hesitate to contact us at Translation Office 3000 Help Center. Submit a ticket to TO3000 support team. You will be answered by e-mail ASAP, usually within 12-24 hours. 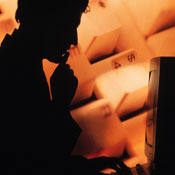 It is very likely that you will find your answer there even sooner than we answer your e-mail. Some of the more common known issues can be solved following the steps of Projetex online troubleshooter.